Considering moving to Haymarket in Virginia? Not sure what neighborhood is the best for you and your family? Who are my neighbors? Is it safe? Then, I might have here the information you’re looking for. Keep moving this article. However, if you’re looking for more facts and statistics, you might want to read my other article about Dominion Valley Country Club. Let’s face it – choosing the right community to live in is one of the hardest decision to make. Many factors contribute to this decision, especially when you have a family. But it can be even harder when you’ve never been there or are trying to make a decision overseas. As a realtor, I always try to put myself in my client’s shoes, so I could feel and envision what they’re going through. This is why I’ve created this post for those who are unfamiliar with the Dominion Valley Country Club community and would like to learn more about it. You’ll notice that I include Pros and Cons about this gated community based on my professional and personal experience. 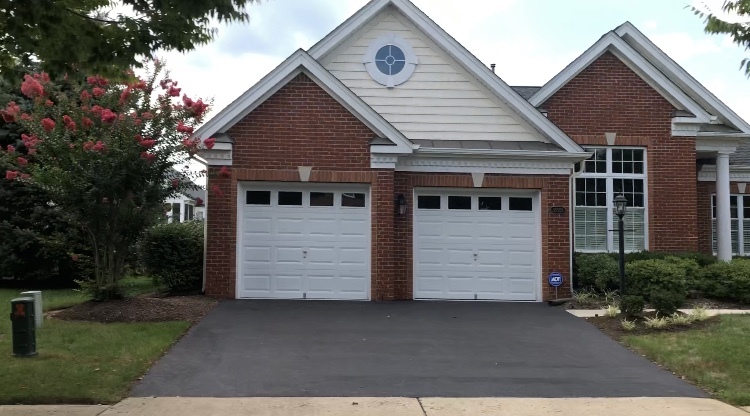 Honestly, there is no right or wrong answer, but being a resident here in the Gainesville area and actively working in these neighborhoods, I’ve gained tons of insights and experience that I’d like to share to help you decide if Dominion Valley Country Club is the perfect fit for you and your family. Also, the visuals in my blog posts should give you a preview of the community so you can make your own judgment if this community is a good fit for you and your family. If you’d like to learn more about the Gainesville area, then make sure to subscribe to my YouTube channel. The Dominion Valley Country Club community is an exclusive Toll Brothers golf course community located in Haymarket, VA with over 2,500 homes. Quick Fact: Toll Brothers is considered as one of the nation’s leading builders of luxury homes. 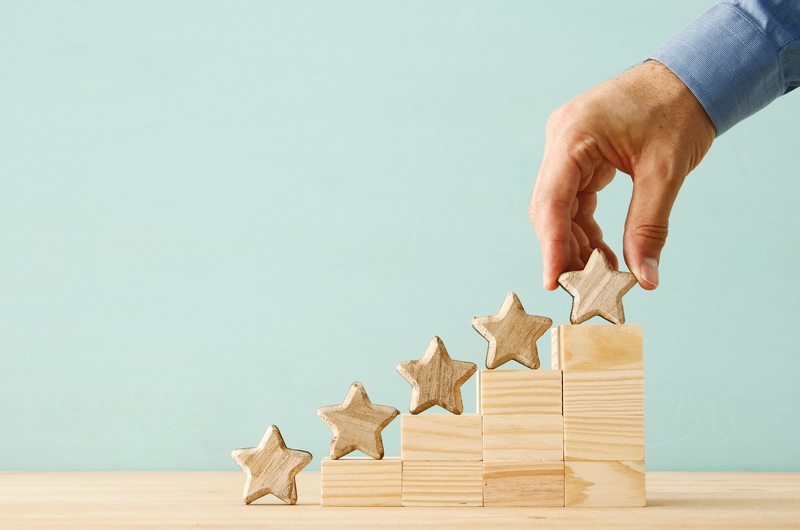 It’s noteworthy to mention that this builder has been named the 2018 Most Admired Home Building Company in Fortune magazine’s survey of the World’s Most Admired Companies. 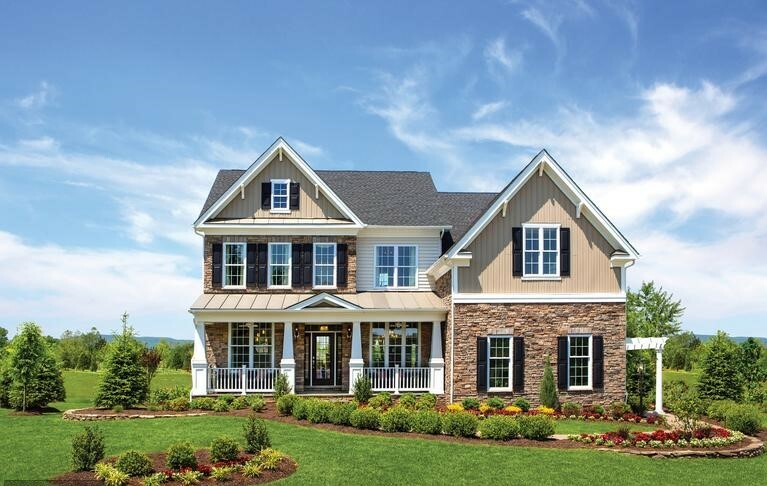 Toll Brothers offers various home collections in Dominion Valley which include Carolinas, Villas, Executives, and Estates with prices within $590k – $800k+. For more information about the collections and models click here. 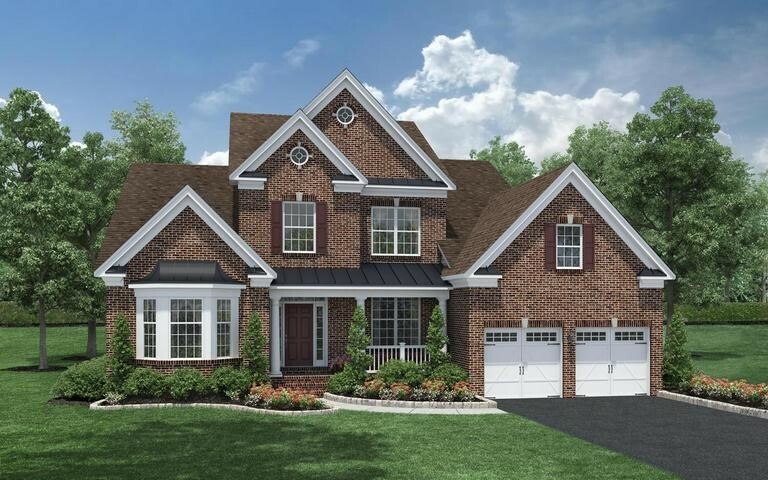 You’ll notice that Dominion Valley Country Club homes are more uniform in their look compared to other communities such as the Lake Manassas Gated Community which is built by various builders, thus styles of homes are very much different. Now, this doesn’t mean that homes in Dominion Valley Country Club look exactly the same. 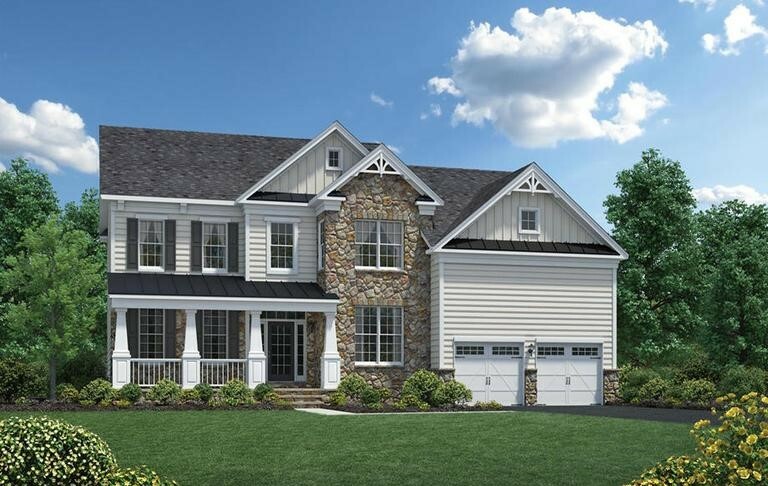 As mentioned Toll Brothers offers different collections you can choose from, but overall you’ll notice a more uniform community in Dominion Valley compared to the Lake Manassas Community. At the end of the day, it really comes down to preference. 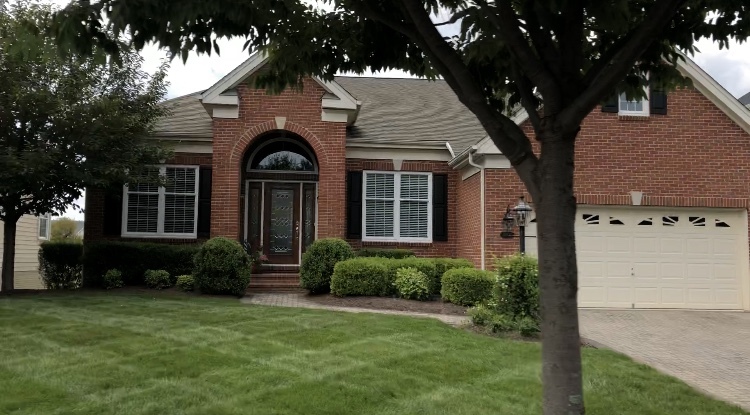 So, if you’re looking for a community with a completely different look of homes and characteristics, maybe Dominion Valley Country Club is not a perfect fit. Soon they will have well over 3,000 homes! Yes, you’ve heard it correctly. Dominion Valley Country Club is the only community that I continue to find exploring new parts of each visit. Toll Brothers are continuing to build rapidly, and the models are so flooring that they’re selling like hotcakes! Their next available sales are expected to be ready in August of 2019, however, they always manage to get things done sooner rather than later. Although there are many new developments currently under construction as well in the Gainesville/Haymarket area, they’re mostly townhomes or condos. Dominion Valley in Haymarket seems to have a certain charm to it making it nearly impossible for anyone not to fall in love. Due to the immense size of this gated community (biggest community in Gainesville and Haymarket area), you’ll notice many amenities as follows: 7 outdoor pools and 1 indoor pool, 5 tot lots, 3 tennis courts, 4 basketball courts, 2 volleyball courts, fishing piers, and other facilities, including The Waverly Club. The Waverly Club is a DVOA-owned facility featuring an indoor pool that is open year-round, a workout room, two rooms available for resident reservation, outdoor pools, outdoor play areas/courts, and a trail entrance. 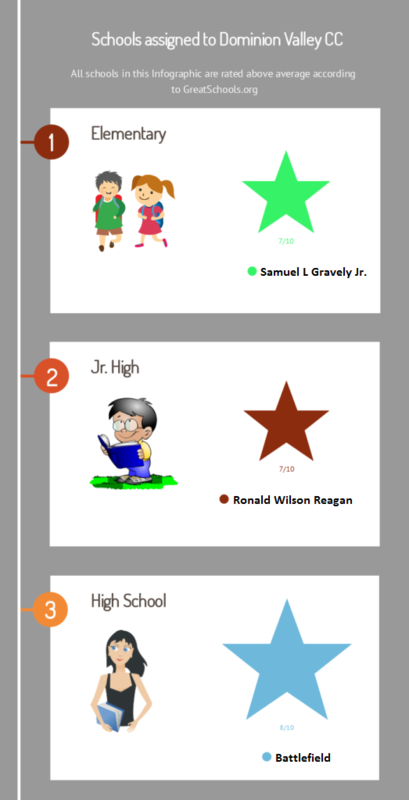 Schools in this community are one of the best rated in Virginia. The Dominion Valley Country Club community has two elementary schools, a middle school, and a high school. In 2016, Dominion Valley Country Club received by the Washington Metropolitan Chapter the “Very Large Community of the Year Award”. Given by the Community Associations Institute (CAI), it recognizes excellence in all facets of community operations. Washington Metropolitan Chapter Community Associations Institute looks for the communities that best represent common-interest community living, excel in two-way communications with residents and think of others beyond the community’s borders. Also, in February 2018, the Dominion Valley community was named as one of Northern Virginia’s best neighborhoods and most sought-after places to live. Out of thousands of neighborhoods in Prince William County, this community was selected as one of the TOP 3 in this area. Perhaps it’s the aesthetics of the community? The jaw-dropping views? Having luxury-style amenities at the tip of your fingertips? 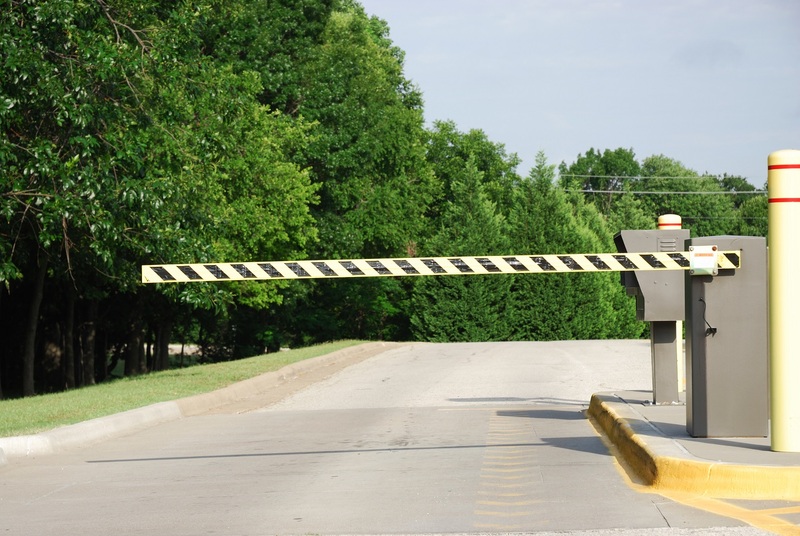 Being within a gated community? Or maybe because of the family-oriented activities and programs they have? 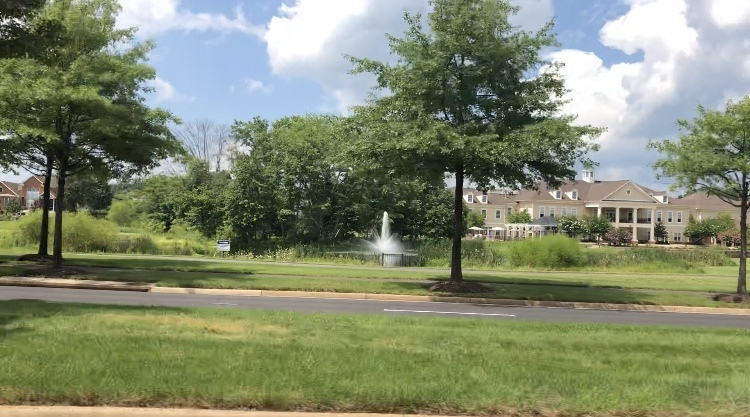 I’m not surprised that Dominion Valley Country Club was named as one of Northern Virginia’s best neighborhoods, and whoever does make a trip over to visit the community will understand and see why. Restaurants and Shopping Centers Just a Hop Away in Dominion Valley Country Club! It’s imperative to know if the new community matches your lifestyle other than its aesthetic features. You want to be close to your favorite restaurants or be able to have a matching religious community close by. 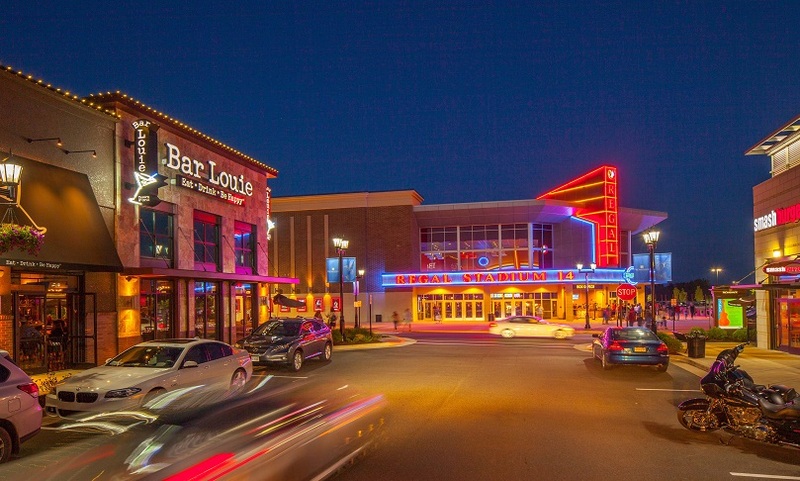 Promenade at Virginia Gateway, just 10 minutes away, offers you a variety of restaurants, shops, and entertainments (Regal movie theater) to choose from. 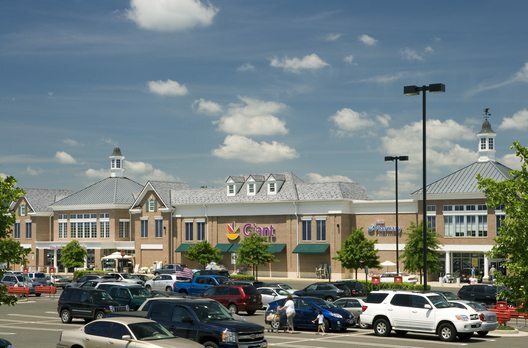 Dominion Valley Market Square is a 140,012 SF neighborhood shopping center anchored by Giant Food which many of the residents enjoy walking to down the trail. It has a signalized entrance on Dominion Valley Drive and within the prominent Dominion Valley Country Club community. Recreational amenities include Silver Lake, playing fields, Waverly Club fitness center, and meeting rooms. One of the best ways to explore top-rated businesses in your local neighborhood is by using Nextdoor. Nextdoor, a private social networking service for neighborhoods comes is basically a combination of Craiglist and Facebook for communities and neighborhoods. Dominion Valley’s household income is on average more than $160,000 and significantly higher than to most of the other communities in Northern Virginia. After all, living in a community with high rankings, and higher fees ain’t cheap! It’s noticeably “not cheap” either, the grass is always cut to perfection with gardening and landscaping patterns that are truly breathtaking. During my research, I couldn’t find a lot of accurate demographic information about Dominion Valley. The ones I found appeared to be not accurate based on my personal experience. With that in mind, the following statements are opinion based and by no means “facts”. 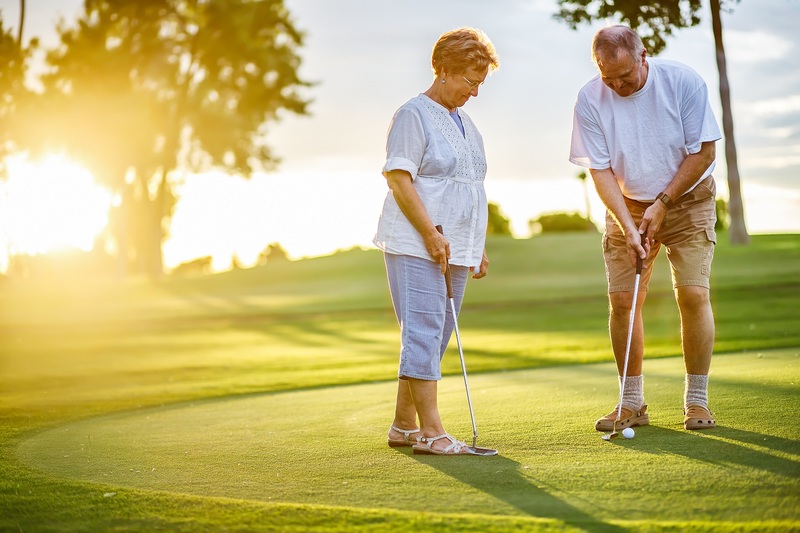 From my experience, most of the residents are married couples with children or retired adults who enjoy playing golf. Residents in the Dominion Valley community are REQUIRED to maintain a membership from the Country Club. That being said, homeowners make two separate payments every month – one to the Homeowner Association, and one to Dominion Valley CC. 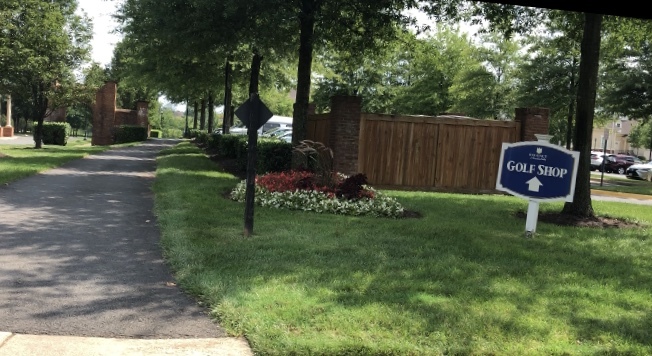 Dominion Valley Country Club HOA fees are approximately $ 200 per month and include gated access, trash, and recycling, common area maintenance, use of pools and playing fields and roving patrols throughout the community. 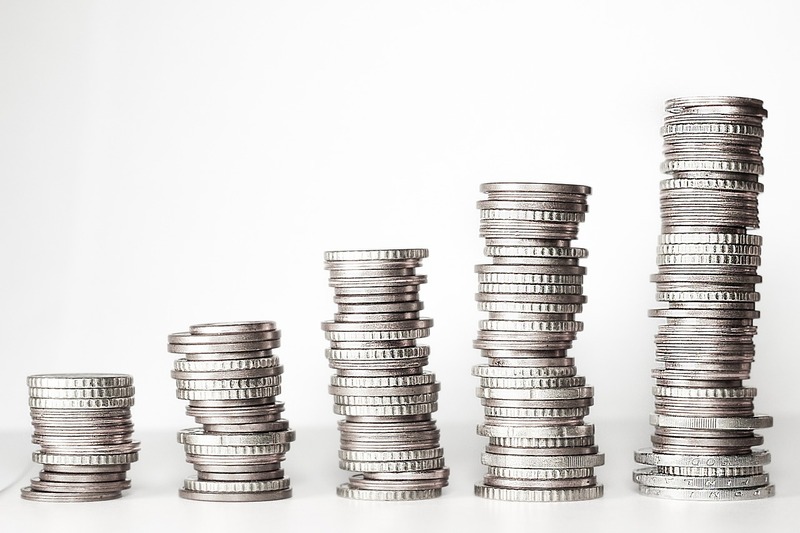 Also an FYI: The HOA fee may seem a bit higher than other communities – but you will also notice how meticulously the community is maintained. The neighbors are also extremely courteous to one another, which I think is important as you’re sharing the community with one another and is imperative to respect that. 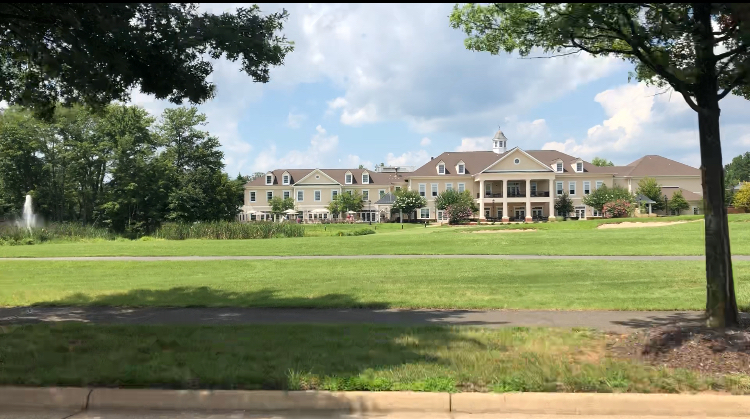 There is a $2,500 social membership capital funding fee to the Dominion Valley Country Club which is paid on all resale homes. 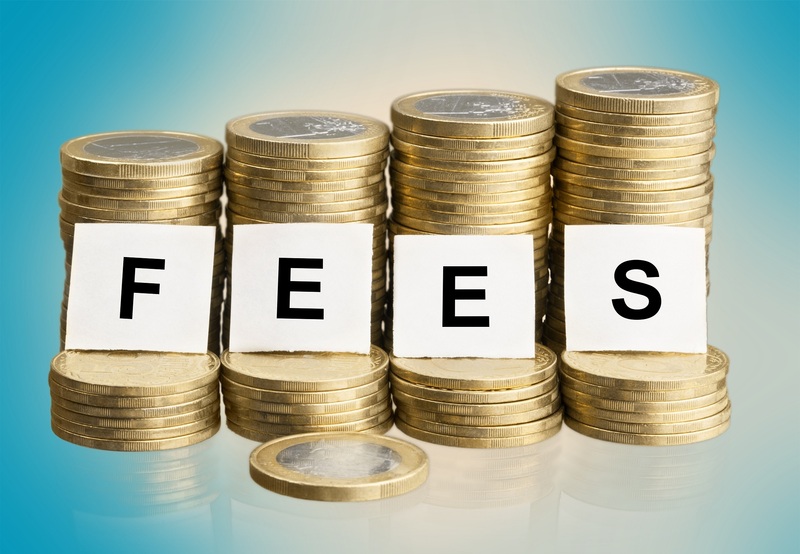 This fee is the buyer’s responsibility and every household in Dominion Valley has this a one-time Capital Funding fee of $2,500. 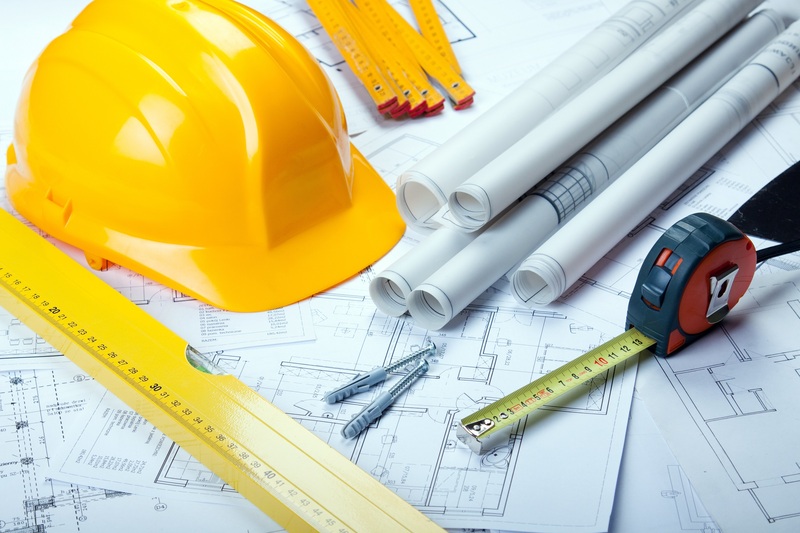 The fee is paid at the time of the closing of your home purchase unless you plan to purchase new construction. In the case of new construction Toll Brothers automatically picks up the capital funding fee. Every household is also REQUIRED to be at a minimum a social member of the Dominion Valley Country Club. The monthly social membership fee is $74 per month for each household. Additionally, residents who wish to be fitness members or full golf members, there are higher monthly fees for this type of membership. These are all things to consider if you decide Dominion Valley is the neighborhood for you and your family. Besides the 1-time initial buy-in fee, you’d be looking a couple thousand dollars annually for the HOA + monthly social member fees. So realistically, you’d need to see if this community fits your lifestyle, and if you and your family are adventurous, and love being outdoors, then you may fit right in. Otherwise, you’re stuck paying for fees you want nothing to do with. Regency at Dominion Valley Country Club offers resort style living for those that are thinking to retire and/or downsize. With a wide variety of different models, and style of homes this community includes main level homes, 2 level, handicap friendly, but the one thing that all the homes have in common at Regency is that all of them have a main level master suite. Enjoy the luxury of being in a gated community filled with an abundance of amenities and clubs. They offer monthly newsletters filled with programs they host at the clubhouses, restaurants, and at the Market Shopping Center. Regency at Dominion Valley is a great area to invest in especially if you’ve got kids, and grandkids nearby the area. 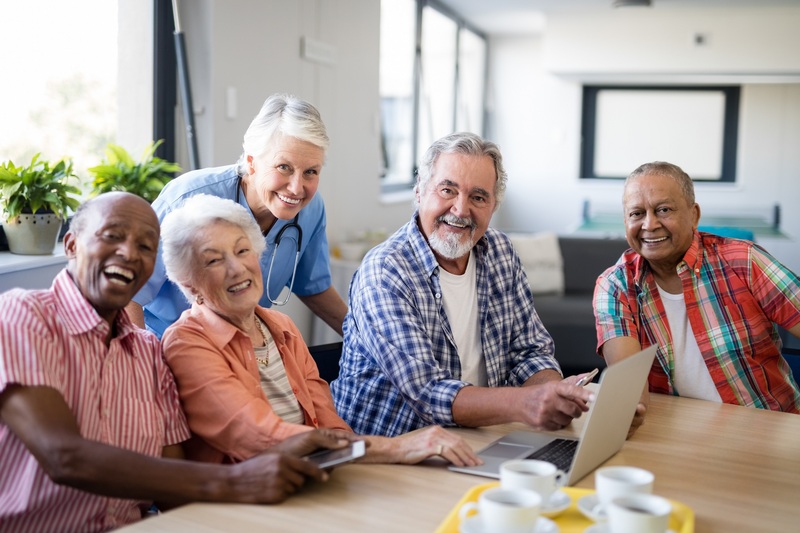 Furthermore, It may be the perfect fit for you if you’re interested in a retirement community where you can have fun, intake the scenery and landscaping. 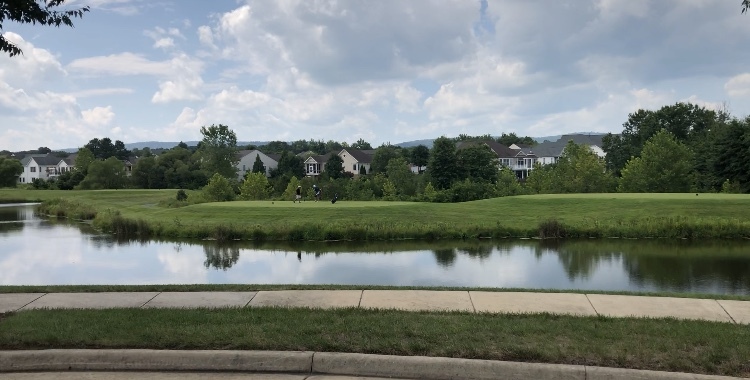 Note: Regency at Dominion Valley Country Club has its own HOA, club, gates and fee structure and is completely separate from the non-age restricted side of the community. The information provided here is for the non-age restricted side of the community. Most of the homes in Dominion Valley Country Club reside behind gates which means more security for its residents. Dominion Valley Drive and Tournament Dr.
Dominion Valley Drive just past Waverley Farm Dr.
Graduation Drive and Bowers Hills Dr.
Waverley Farm Dr. and Allens Mill Blvd. Dominion Valley Dr. and Blossom Hill Dr. Bent Grass Tanning House Dr.
Each household in is given two gate transponders that will open any of the gates within Dominion Valley Country Club. Homeowners can purchase additional gate transponders for $35 up to 6 transponders per household. If transponders become lost, stolen or stop operating, it is the responsibility of the homeowner to purchase a new transponder. The homeowner uses gateway.us to set up their permanent and temporary guests. Visitors can call homeowner on the keypad provided at the gate and homeowner can buzz the visitor in via the phone system. Dominion Valley Country Club offers an elegantly traditional ballroom space with bright windows and regal columns. According to Weddingwire this wedding venue enjoys a 4.9/5 rating. Couples can invite up to 180 guests to their celebration at the Dominion Valley Country Club. The club offers to couples the choice of three ceremony locations. Outdoors, the Great Lawn invites couples to marry beneath a built-in arbor as they admire water views. The Front Lawn is a lakeside wedding ceremony location with a fountain as the backdrop. Inside, the Ballroom is a private and romantic location for a wedding ceremony to occur. This can also be a couple’s backup option in the event of inclement weather. Cocktail receptions can be held both indoors and outdoors, or couples can choose to combine the two options as guests mingle. The Waverly Ballroom is the perfect space for a grand reception filled with delicious dinner and dancing. 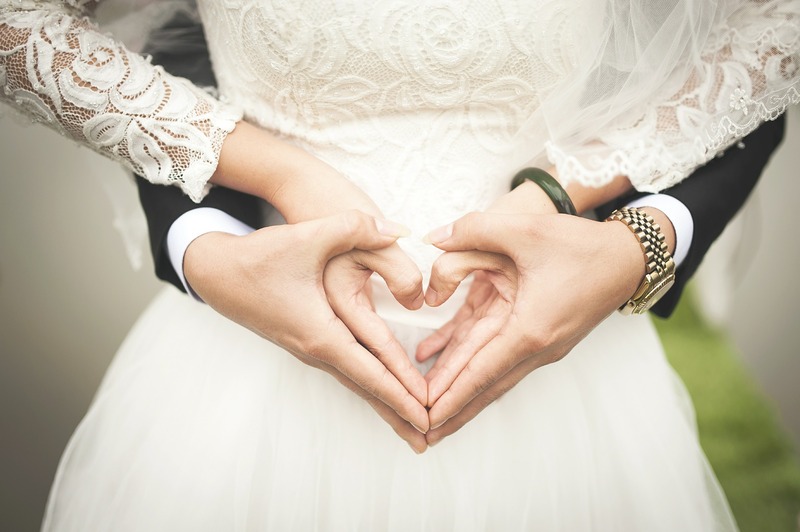 The staff at the Dominion Valley Country Club is ready to assist couples with anything they need on their big day. They can help with event planning before the day arrives, to ensure no details are forgotten and to coordinate the perfect vendors based on experience and a couple’s desires. 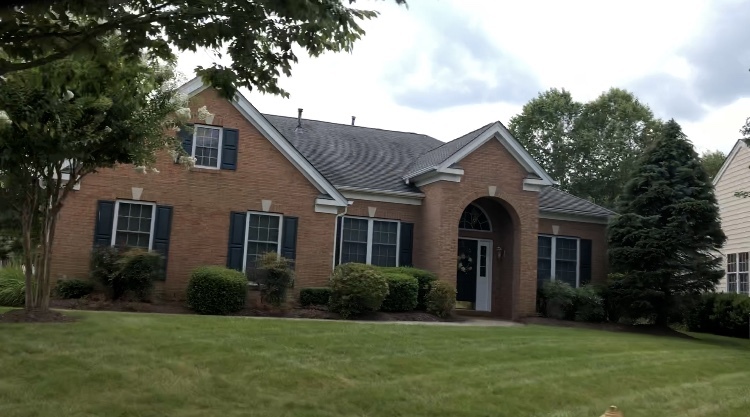 Hopefully, this post has helped you have a thorough understanding of Dominion Valley Country Club, and if you’re interested in touring the community, or would like schedule a private showing feel free to schedule an appointment and I’d be glad to meet with you!